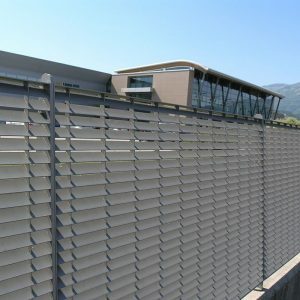 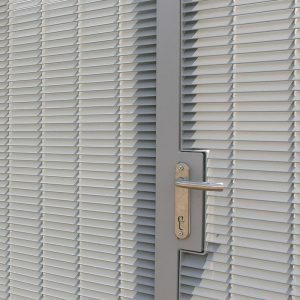 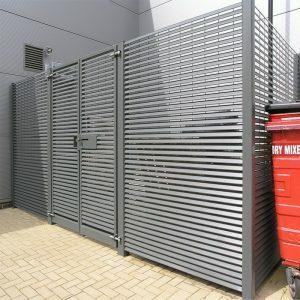 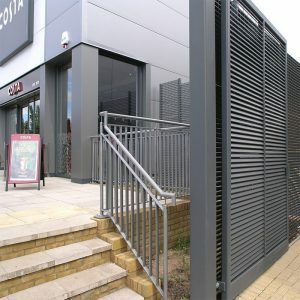 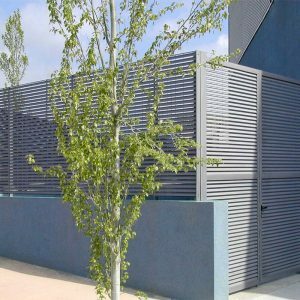 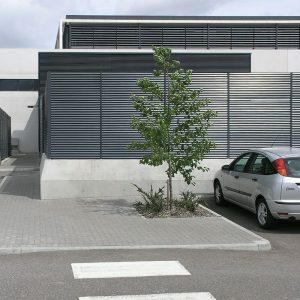 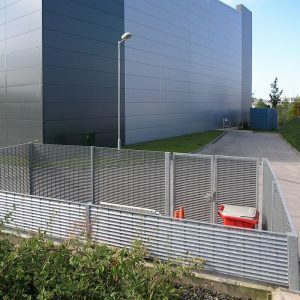 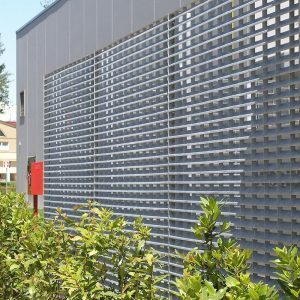 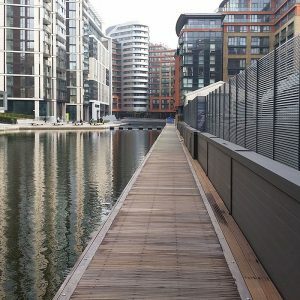 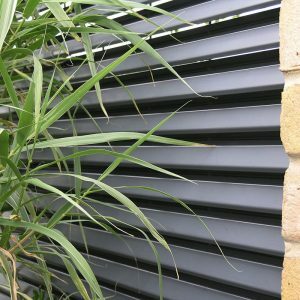 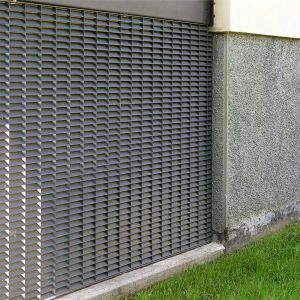 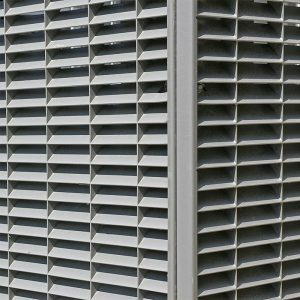 Lang+Fulton are specialists in the supply of louvre fences and custom-designed louvred structures, which offer a practical and attractive screening solution. 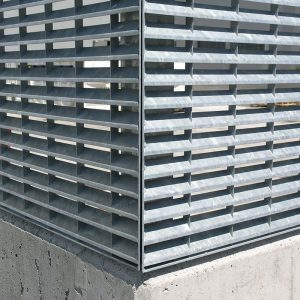 The robust steel construction is significantly stronger than aluminium for any ground level project. 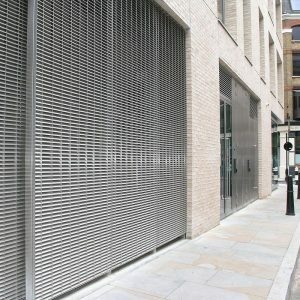 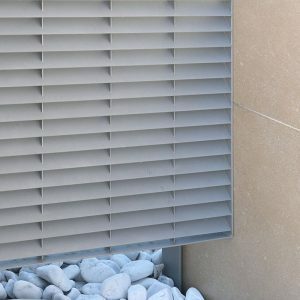 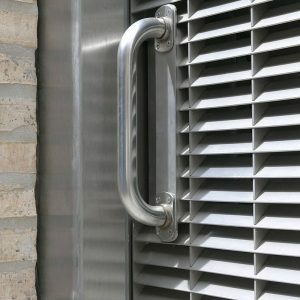 A wide range of products are available, providing alternative levels of visual screening and a choice of aesthetic.